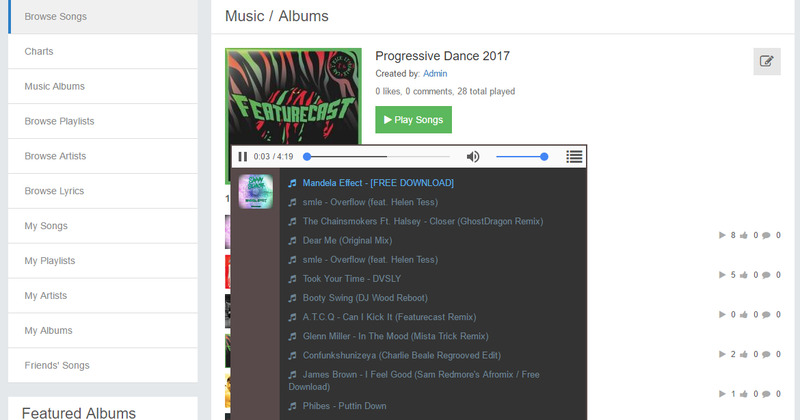 Advanced music V4 4.6 - plugin for PhpFox. 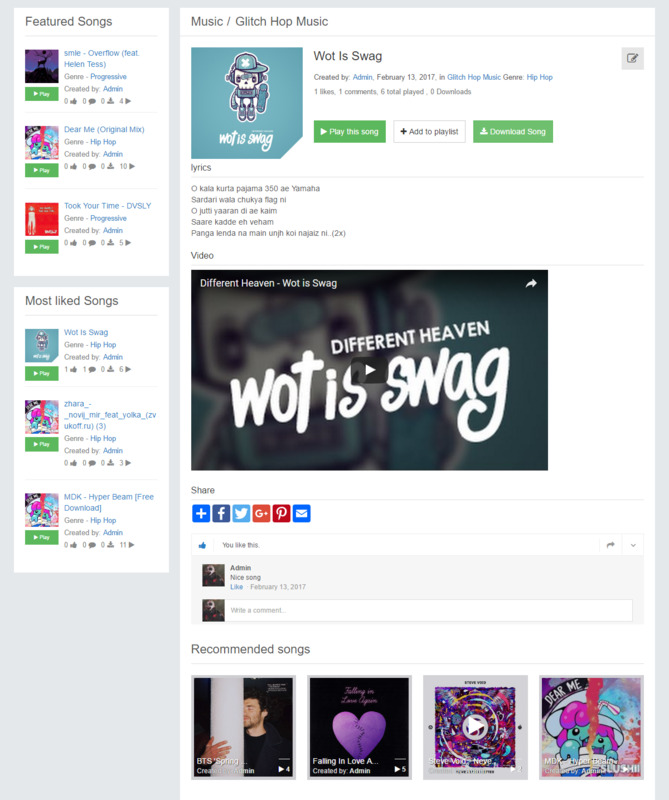 Ultimate solution if you want to have music section on your site, Soundcloud integration, Sticky html 5 player, more then 23 widgets and good design. 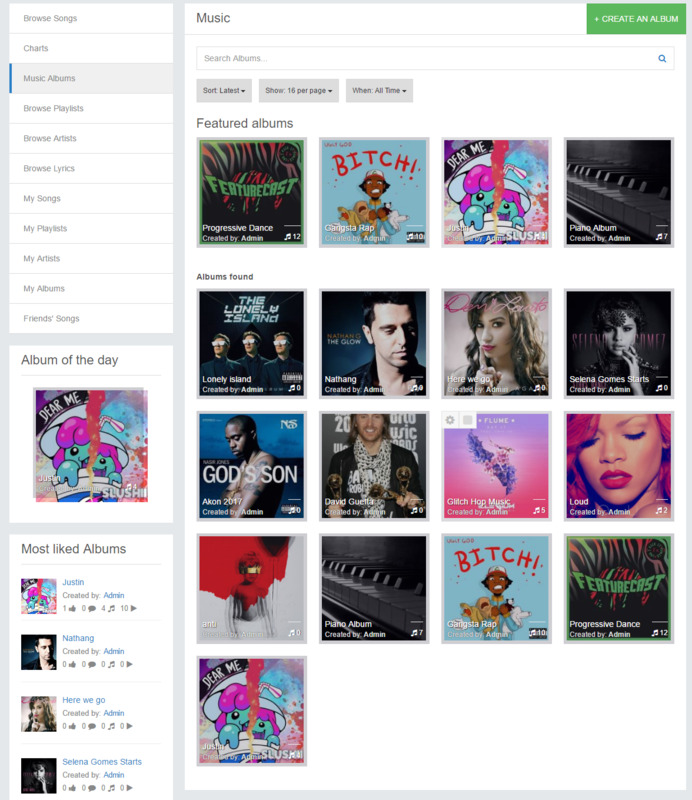 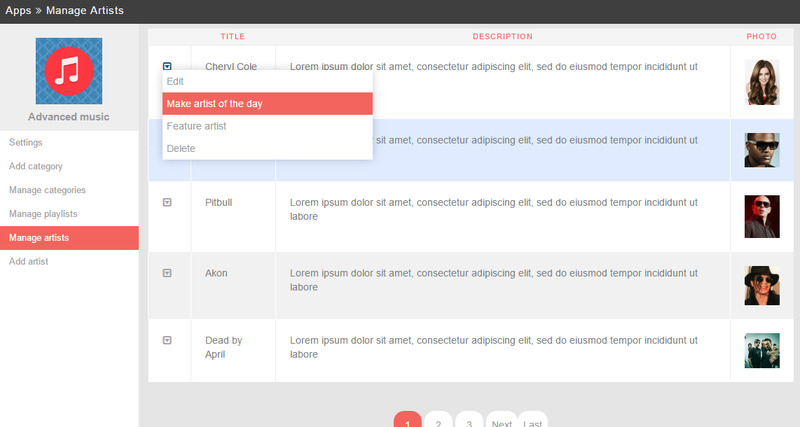 Chars page, Playlists, Albums, Artists make this plugin very powerfully and user-friendly. 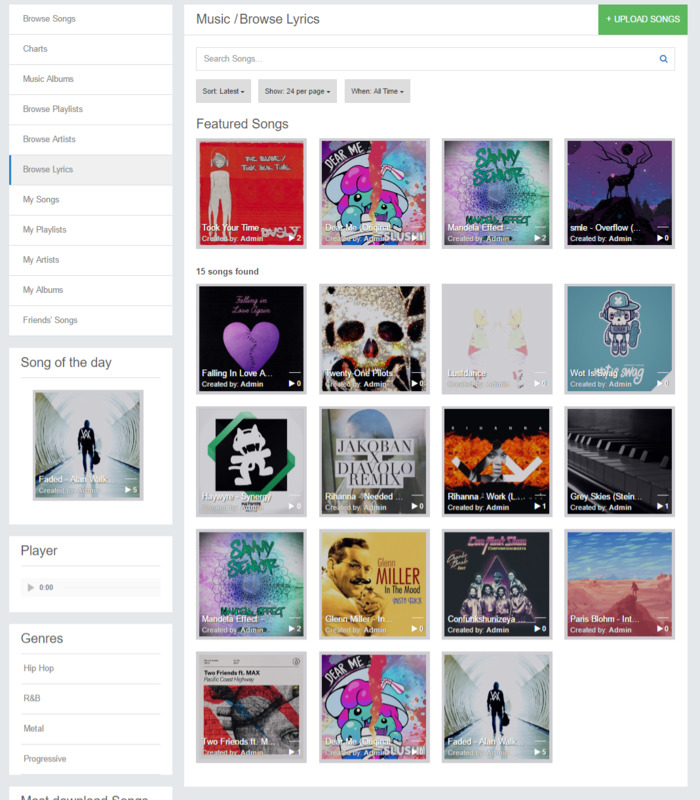 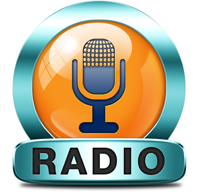 Users can play songs on any device, mobile responsive. 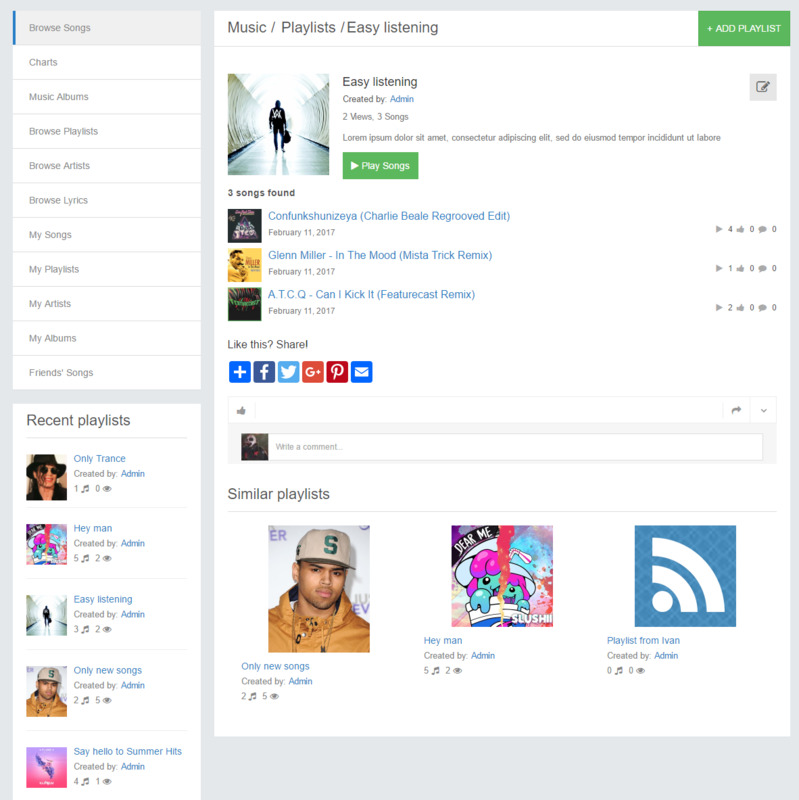 Sticky player (play song, albums, artists songs, playlists) during your browsing site. 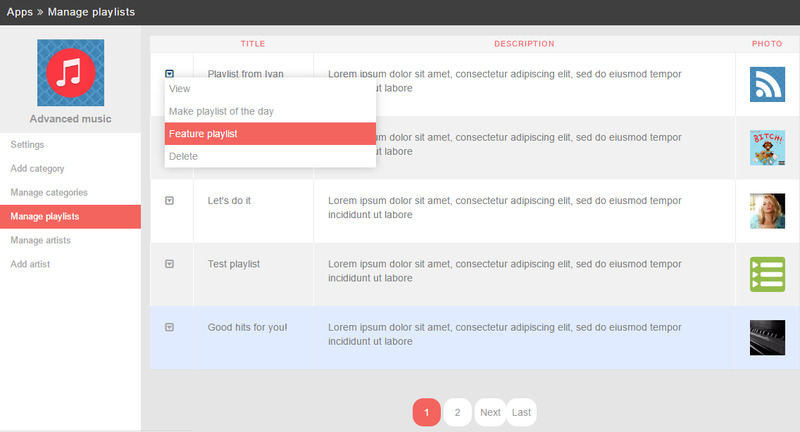 Based on standart phpfox music plugin (you will save current content). 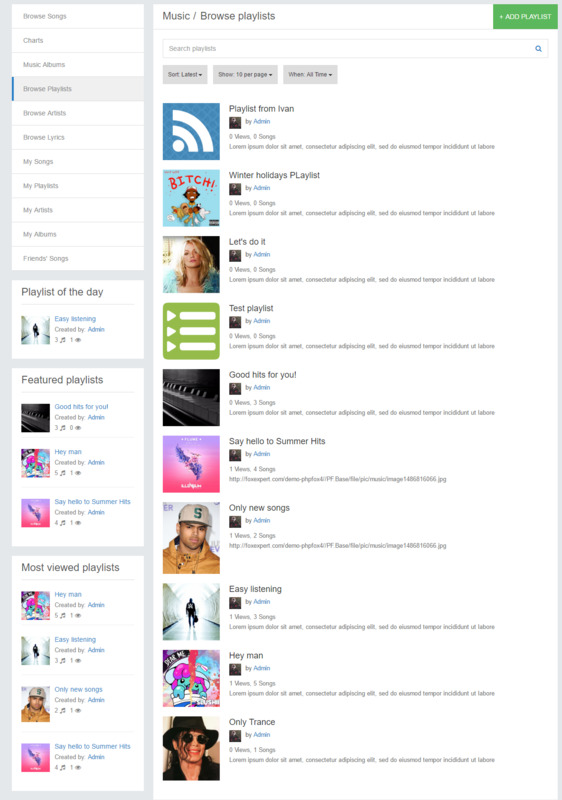 Player will play song (album songs, artists songs, playlists songs), when you surfing site. 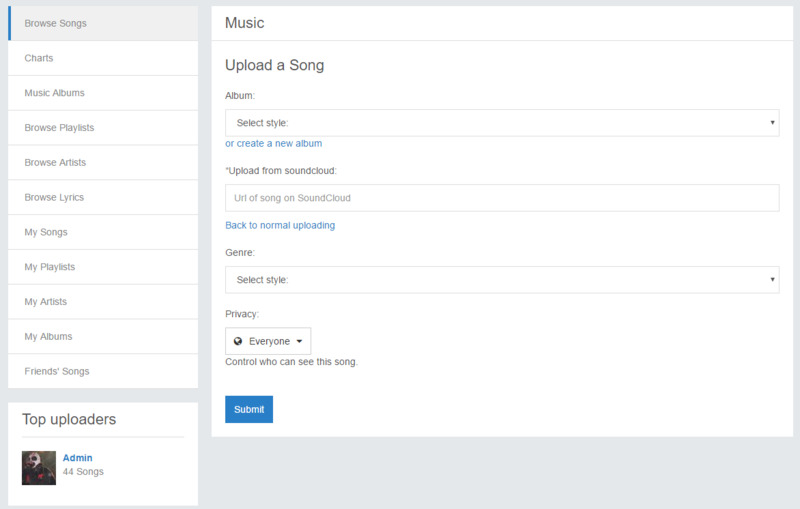 You may fill lyric, genre, album, image, cost (emoney plugin required) youtube video, artist of the song, during edit. 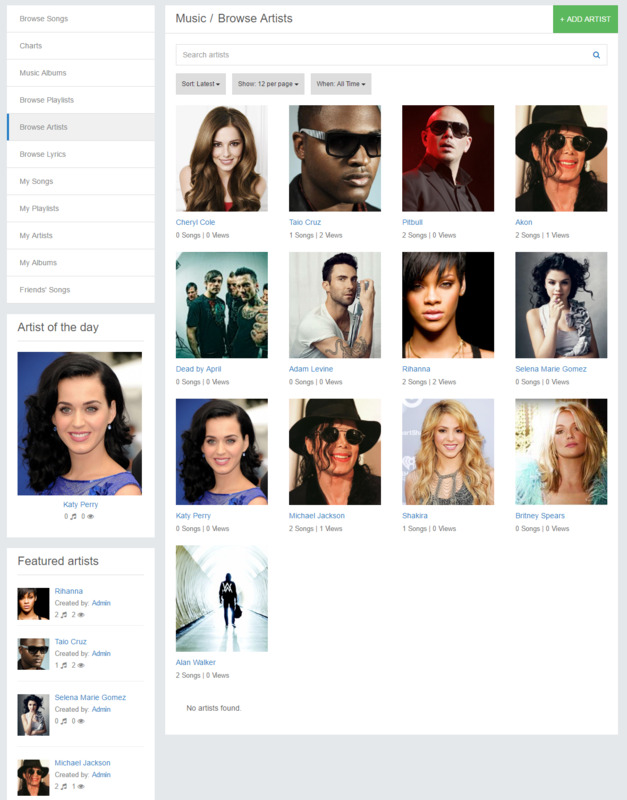 Share on social network using social buttons. 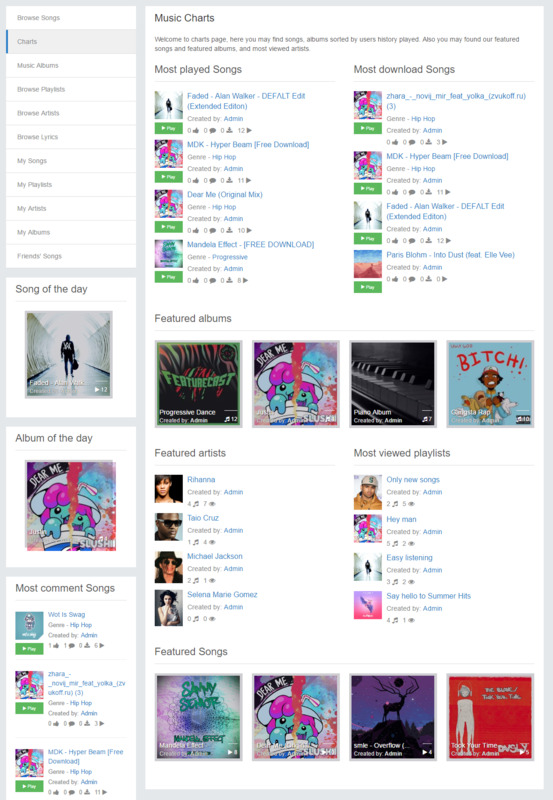 Manage albums, Feature albums, Make album of the day. 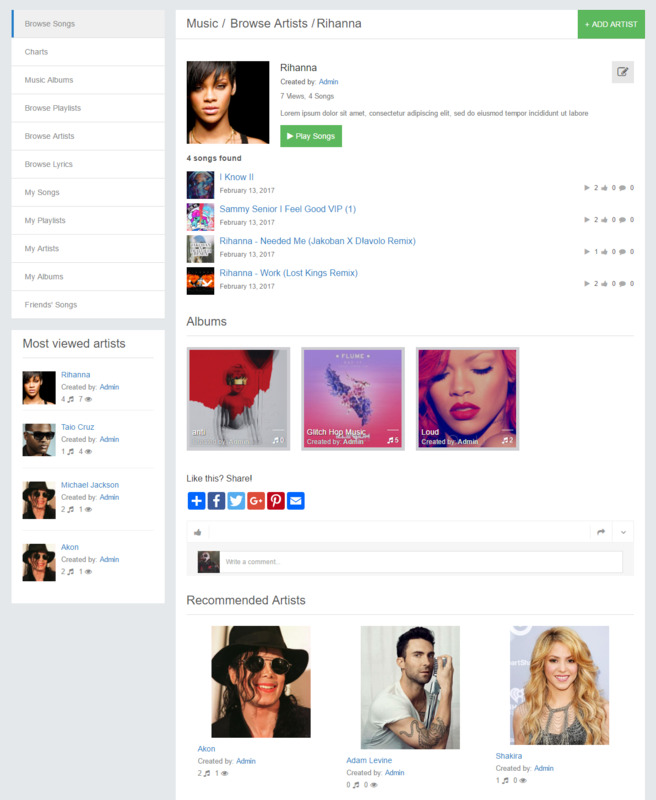 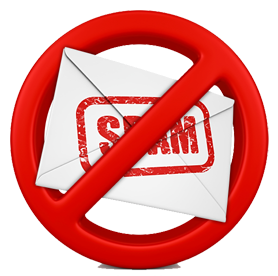 You users can sell songs and get funds using our plugin Emoney. 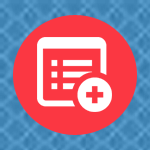 Admin can setup % of commision of each payment.